The clinical course of chronic heart failure is usually progressive and characterized by recurrent acute decompensations, if not stabilized by evidence based medical and device therapy, as well as adaptation of life style. Patients with advanced chronic heart failure are moderately to severely symptomatic (class III and IV) and according to the ACC/AHA classification in stage C or D. Progression finally leads to the end stage heart failure (refractory symptoms as defined by ACC/AHA as stadium D). Chronic heart failure patients may also deteriorate to advanced cardiogenic shock due to an acute de novo event, such as acute myocardial infarction. 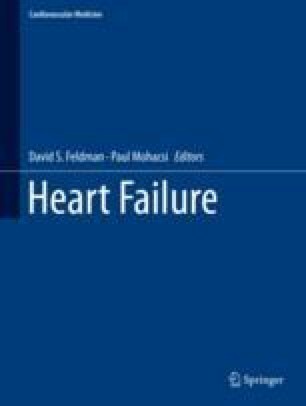 Acute heart failure due to such an unexpected event or due to progression of chronic heart failure (leading to a catecholamine dependent and unstable situation) usually triggers the discussion about, whether cardiac transplantation and/or ventricular assist therapy should be considered. However, implantation of a long-term (durable) mechanical circulatory support device (i.e. left ventricular assist device, LVAD) or heart transplantation cannot be done under urgent conditions. It is of utmost importance to first stabilize the patient by using short-term (temporary) mechanical circulatory support (MCS) devices (ECMO, DeltaStream, Levitronix/CentriMag, Impella 2.5, CP or 5.0) as a so-called bridge-to-transplantation strategy. NICE clinical guideline no 108: chronic heart failure (National clinical guidelines for diagnosis and management in primary and secondary care) August 2010. Royal College of physicians. https://www.ncbi.nlm.nih.gov/pubmedhealth/PMH0046956/pdf/PubMedHealth_PMH0046956.pdf and Cardiology SAC Curriculum for Cardiovascular Medicine. BCS Website, 2010.